With its contribution now rivaling that of the auto industry in at least one estimate, tourism is fast becoming a key focus of Japan’s economic policy. After Tokyo won its bid last September to host the 2020 Summer Olympics, the stage was set for Prime Minister Shinzo Abe to intensify the government’s efforts to promote Japan as an ideal tourist destination. In January, as part of his “Abenomics” policy, he set a goal of doubling the annual number of foreign tourists to 20 million by 2020. In June, the government drew up a new action program, reworking the tone of tourism promotion measures. How is foreign visitor traffic changing? The number of travelers to Japan has been on a general upward trend since 2003, the year the government’s “Visit Japan” promotional campaign started, although there were dips in 2009, due to the global economic crisis, and 2011 after the Great East Japan Earthquake and tsunami. Last year, the figure reached 10.36 million, compared with 5.24 million in 2003, and up sharply from 8.36 million the previous year. It was the first time the annual visitor count exceeded 10 million, finally reaching the goal set for 2010 in the “Visit Japan” campaign. The July visitor figure, released last Wednesday, came to 1.27 million, a record for a single month, and the figure exceeded 1 million for the fifth straight month. Japan’s popularity as a tourist destination is also reflected in a survey by the U.S. travel magazine Travel+Leisure, which announced last month that Kyoto was chosen by its readers as the No. 1 city in the world. Although relations with China remain frosty due to territorial and historical issues, visitors from that country totaled 281,200 in July. That was 22 percent of all visitors to Japan for the month — the largest percentage of foreign visitors — and a 101 percent leap compared with the same month a year earlier, according to statistics from the government-affiliated Japan National Tourism Organization. 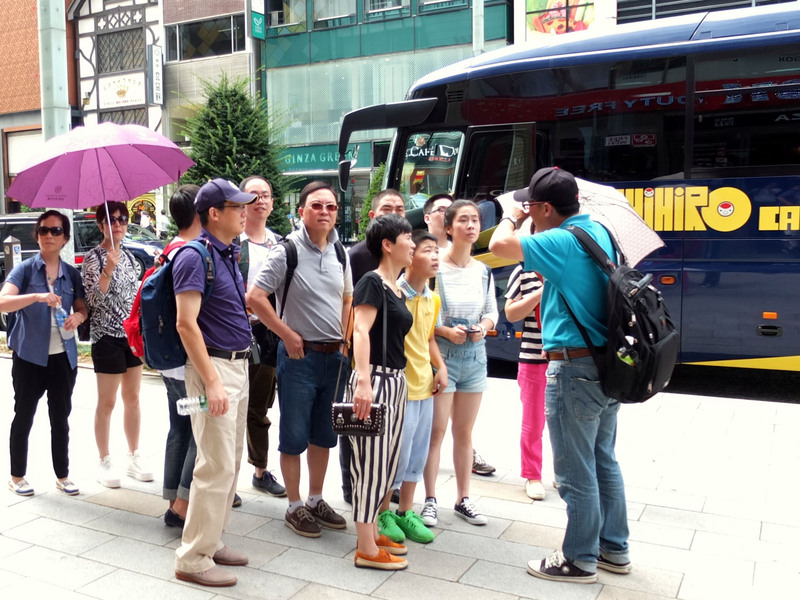 Taiwanese made up the second-largest group of tourists, totaling 279,300, followed by South Koreans at 250,600 despite troubled relations between Tokyo and Seoul over historical and territorial concerns. The next top countries or territories of origin were Hong Kong (7.2 percent of the total), the United States (6.5 percent) and Thailand (3.4 percent). Visitors from all of these countries rose in July compared with a year ago. The JNTO expects that Chinese and South Koreans will continue to visit Japan in greater numbers, although political tensions remain a risk. “We haven’t received negative information from our local offices, and Chinese tourism companies have resumed Japan-bound passenger boats,” a JNTO spokeswoman said. The major increase in Chinese visitors represents a recovery following a significant drop in October 2012, a month after Japan effectively nationalized the disputed Senkaku Islands, greatly angering China. 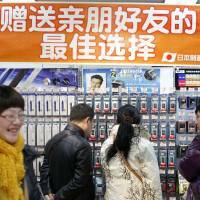 Since returning to positive growth, Chinese visitors have shown a steady increase. Tourist traffic from South Korea was also hit by the Sewol ferry disaster in April, which led to a drop in maritime travel, a common way for South Koreans to come to Japan. But the numbers have recovered with the summer tourist season, the JNTO spokeswoman said, adding that the number of such boats had declined to zero at one point. 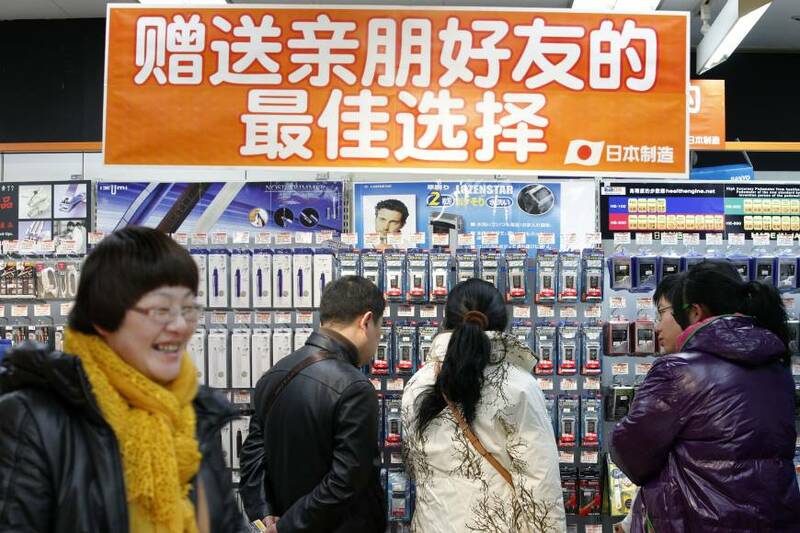 What kind of boost does the economy get from an increase in foreign tourists? Amid a prolonged slump in exports — a key economic driver — tourism could prove a viable contributor, if Mitsubishi UFJ Morgan Stanley Securities Co.’s estimates are to be believed. 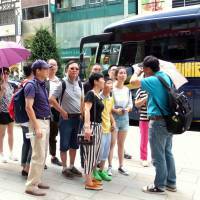 In June, the brokerage estimated that the economic impact from tourism in 2013 reached ¥16.7 trillion, representing 3.5 percent of gross domestic product, according to the Nikkei newspaper. The figure includes the impact on industries such as railways, hotels, tourist agencies and amusement parks. It rivals the estimated ¥16.6 trillion contribution by the transportation machinery industry, which is led by automakers, and exceeds the electronics industry’s ¥14.9 trillion. What is the main government program? In January, the Ministerial Council on the Promotion of Japan as a Tourism-Oriented Country, chaired by Abe, set the goal of raising the annual visitor figure to 20 million by 2020, seeing the Summer Olympics as an ideal opportunity to boost tourism. Toward this goal, the council worked out an action program in June aimed at spreading the promotional effects of the Olympics beyond major cities and into the countryside to help various areas of the country grow as attractive destinations for international visitors even after the games are long over. What are the key policies? June’s action program sets out extensive policy goals aimed at promoting services for foreign visitors, including upgrades to airport access and increasing free wireless hot spots, even on moving trains. Another key policy involves relaxing visa requirements. In July 2013, the government stopped requiring visas for short-term visitors from Thailand and Malaysia, hoping to attract the growing middle class in those countries. The number of Thai visitors jumped an impressive 84.7 percent in the first month, and another 42.1 percent this July compared with a year earlier. The number of Malaysian visitors increased 63.2 percent this past July. Next up for the government is waiving visas for visitors from Indonesia and the Philippines. In addition, the program calls for greater use of multiple languages on signs and providing multilingual guides at public facilities. How is the private sector responding to the jump in foreign tourists? With the government initiative in place, tourism-related industries have begun positioning themselves to benefit from the increase. With foreign tourists frequently complaining about the lack of free wireless hot spots in Japan, NTT Docomo Inc. launched a paid wireless Internet service Thursday specifically targeting foreign visitors at its 150,000 Wi-Fi access points across Japan. East Japan Railway Co. is considering opening a new line to Haneda airport from central Tokyo, a project that would halve travel time to roughly 20 minutes from Tokyo and Shinjuku stations. JR East officials said they hope to have the new line partially operational in time for the 2020 Olympics. In a move to help improve travel experience for Muslims, Narita International Airport last December turned its “silence rooms” into “prayer rooms” for Muslim tourists, fitting the rooms with water taps for purification rituals and leaving them unlocked so Muslim travelers can access them freely. Since December, the airport’s catering service has served pork- and alcohol-free meals, using halal-certified ingredients, to be consumed in premium waiting rooms.